First of all you need to receive a valuation to find out how much your home is worth. We recommend asking at least three different estate agents to value your home. Ask them about the services they offer, the current state of the local market, and the purchase price you can hope you achieve. Make and plan and how this sits with your priorities and timescales. For more help, view our tips for getting started here. You are legally required to provide an EPC when you market your property for sale. This outlines the energy efficiency rating of your property. Your Move can organise this for you. Contact your local branch for a quote for how much this will cost. In Scotland you will need a Home Report which includes an EPC. ‘Conveyancing’ means the legal transfer of your property to the buyer, and you will need to employ a solicitor to make this happen. Prices will vary depending on your circumstances. Your Move can introduce you to a solicitor and offer a no sale no fee conveyancing service with a guaranteed fixed price to keep everything easy. Contact your local branch to receive an accurate quote for how much this will cost. This partly depends on the conditions of the offer. Remember, neither the buyer or the seller is bound to the purchase or sale until the contracts are signed and exchanged (in Scotland at conclusion of missives), so it’s worth keeping your options open. Every sale is different. Both your position and the buyer’s position needs to be taken into account before this question can be answered accurately. If your home has been realistically valued, you should expect to receive offers within the first four weeks. Then, assuming your buyer has to apply for their mortgage, the exchange of contracts normally takes between 4 and 6 weeks and then completion is between 2 and 4 weeks later. So in total you should expect 12-14 weeks to complete the sale. Please note that in Scotland conclusion of missives normally takes between 6 and 8 weeks. In England, all sellers are required to purchase an EPC for a property before they sell it. Estate agents must display the EPC rating whenever they market the property. For more on EPCs click here. In Scotland, the seller is required to purchase a Home Report, which is a more complete report detailing the condition of the property. An EPC is included in this report. For more on Home Reports click here. ‘Conveyancing’ is everything that needs to happen to legally transfer your home to the buyer. You will need a solicitor to make it happen. 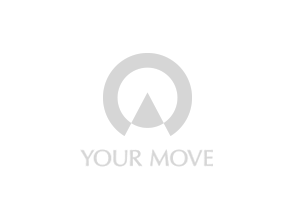 Your Move can introduce you to a solicitor. It’s a no sale no fee conveyancing service offered at a fixed price so you know where you stand. For more on Your Move’s conveyancing service click here. In Scotland you must organise a Home Report for your property. A Home Report is a pack of three documents that give buyers a clear picture of the condition of the property for sale: the Single Survey which details the condition of the property; the Energy Report which gives the property an energy efficiency rating; and the Property Questionnaire which outlines other key information such as the property’s council tax band. For more on Home Reports, click here.